I somewhat foolishly decided to set myself the challenge to ride a single 100 mile ride every month in 2015. Riding 100 miles isn't necessarily a difficult task if you're a fit regular cyclist. The challenge however is riding it early in the year. It's hard for a couple of reasons. Firstly, cycling fitness tends to be low in the winter as you ride less when it gets cold and dark. Secondly, the weather and light is poor in the winter and the conditions can make or break you when you get out there. Choosing the date for January's century was pretty much decided for me. The first weekend in January I rode 25 miles. The second weekend I rode 50. The third weekend I didn't ride so I had fourth weekend or the final Saturday. As the forecast for the final full weekend was good, I decided I had to go for it. Choosing where to ride for my first century was fairly easy. 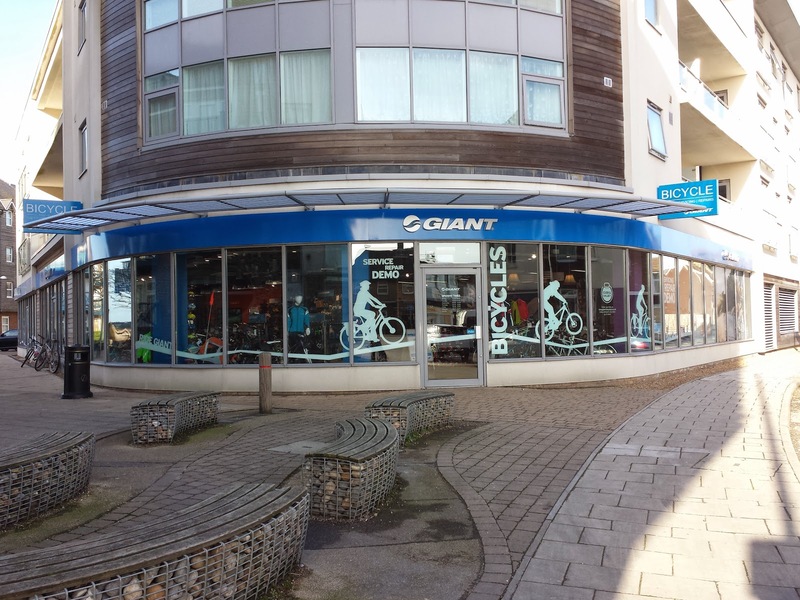 I had an ulterior motive as I wanted to visit the Giant Concept store in Shoreham-by-Sea, as the next bike I'm planning to get is a Giant, and I wanted to find which frame size I needed. As Shoreham is only 35 miles away I knew even with a few detours I'd need to go a bit further. With that in mind I planned to ride past Shoreham and onto Worthing before heading back. Preparation is the key to a successful long distance ride. Bike, clothing, equipment and nutrition must be right. I always prepare my stuff the night before and check I have everything before I go to bed. A couple of additions to this ride thanks to the guys at 2pure was a POC Essential cycling cap and some Osmo sports nutrition. I made up the drink in my bottle and put the cap with my clothing for the morning. I got up at 6am, had breakfast and donned my cycling gear. After forgetting to fix the mount for my front light to the bike, I finally got out of the door at 7.17am. It was cold and dark outside, 4c according to my Garmin. Apart from my feet, which always suffer in the cold, I was appropriately clothed for the conditions. I started off by doing a loop via Normans bay. By the time I got to Eastbourne Pier, about 13 miles in, I had to stop and do a bit of a dance to try and get the blood back to my feet. With the wind chill, the temperature was about 0c. About 23 miles in I stopped in Seaford for an energy gel and a wee. The cold often makes me need to go! About 30 miles in, I stopped at Subway for a second breakfast and a coffee and a chance to warm my feet back up again. Back on the road again I headed into Brighton. I had no time to hang around and continued to Shoreham. When I arrived in Shoreham I spotted the Giant store but decided to continue on to Worthing and stop in Shoreham on the way back. By the time I arrived in Worthing my legs were feeling a little tired. I think it was riding into a headwind that was the reason and I was about to turn around so wasn't overly concerned at this point. Having never been to Worthing seafront I stopped to take a picture of the pier as the weather was so nice. Worthing pier. Wish you were here! Soon enough I was back in Shoreham and headed for the Giant store. As you'd expect being a concept store, they have everything Giant. I was interested in the Defy 0 and the helpful assistant in the store showed me the bike and helped me find which frame size was right for me. Whilst there I bought a couple of energy gels and some glueless patches. I got back on the bike and headed in search of some lunch. I didn't have to go far. I grabbed a bottle of water with lunch and filled my bidon back up. I was soon rolling into Brighton again and using the cycle lanes I was overtaking the cars that kept getting caught at the traffic lights. It wasn't long before I was back in Peacehaven and passing Subway where I noticed I was two thirds of the way into my ride. 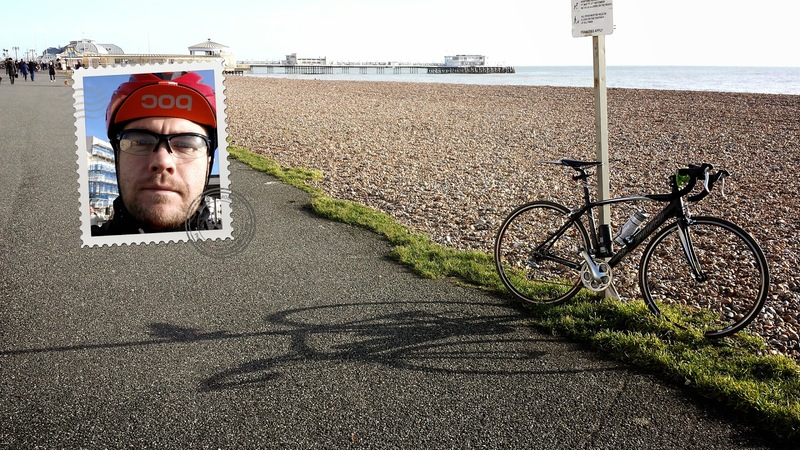 When I got back to Seaford, I split to take a different route back home to get the extra miles in. I headed north through Alfriston and then north east to Hailsham. When I got to Hailsham I stopped at the local Tesco to get more water and checked the route to see if I was on target for 100 miles. It seemed I would be a little short if I went straight home so I needed to make a little detour first. Heading down Hailsham high street at almost 20 mph my front light fell off my bike and rolled down the road bouncing as it went! I picked the light up, checked it over and after the relief that it was still working I fixed it back onto my bike. As I turned on to Rickney Lane heading to Pevensey the roads were waterlogged and muddy. The first I'd had all day. Several miles of this ensued but I wasn't too bothered and neither were my tyres. As I headed back to Normans Bay the level crossing gates were just closing. The crossing attendant said they'd be closed for about 8 minutes so with tired legs and the air getting colder I thought it better to turn around and take a new route back home. I was on the home straight and the finish was in sight. I pulled up outside my house with 100.47 miles on the Garmin. Nice one Toby. Looking forward to hearing about your February ride. Hey Toby, Sorry for only just getting my blogging back in order. Pleased to see you're Cycling and blogging. How good are you!!! !